Leopards inhabit the southern portions of Asia and much of Africa, and are found in a variety of habitats from forests to rocky hillsides. 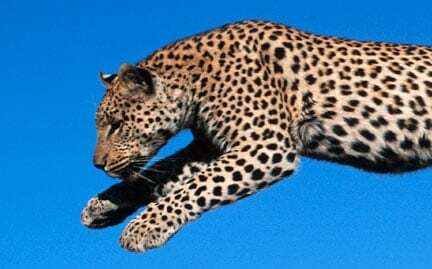 Though rarely seen, leopards are the most widespread member of the cat family, largely due to their highly adaptable hunting and feeding behavior. The greatest threats to this species are revenge killings for attacks on livestock and illegal hunting for their highly prized furs.